The 37 craft activities on this CD give teachers the flexibility they need for corresponding their children's program with just about any adult evangelistic series. Here is a sample of some of the topics that are covered: Sin, Salvation, Creation, Prophecy, Baptism, Heaven, Angels, Law of God, and many others. 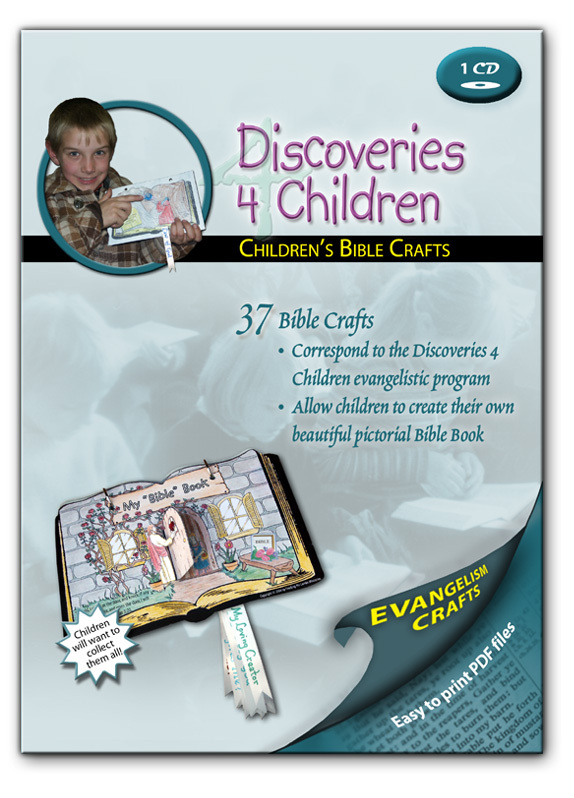 Children love these Bible Book crafts! You will be amazed to find the children not wanting to miss a single program so that they can collect all the pages for their Bible Books. The illustrations in these crafts are of such high quality that they will treasure it for years to come. You can use these crafts in your church's weekly Bible class, in a VBS(Vacation Bible School), as part of a family worship time, or during homeschool classes. Also includes a craft instruction booklet that you can print multiple copies of.